My name is Hannah. I am at the age of 15 and I have experienced sleep paralysis twice. The fist time it happened to me was when I was 13 years old and I had no idea what was happening to me. I woke up in a shock and realised I could not move at all. I tried to scream at my sister to help me but nothing came out and she was sound asleep so there was nothing I could do except move my eyes. I tried to scream again but my lips couldn`t move. Soon enough I started to drift back to sleep. When I woke up in the morning I asked myself if it was a dream or not so I shrugged it off and just thought it was a dream until it happened to me again. When it happened to me the second time I still had no idea what it was. I went to sleep at like 2am and when I woke up I was facing the wall and I couldn't move when I tried to ringing went through my ears. I soon enough drifted off but it didn't end there the second time a dark shadowy figure was at the edge of my bed whispering my name I thought it was my sister but it appeared to be a man so I screamed for help but yet again my lips won't move. Yet again I drifted off to sleep and hoped I would wake up not paralised but I was wrong. This time my sister was in her bed on her ipod playing again I called out to hear but it didn't help as nothing came out. When I asked her in the morning if she was playing a game at night she said no and it freaked me out. It helped when I told my friends as they were very afraid for me. I looked up online and found out it was sleep paralysis it helped knowing it wasn't only me who have experienced but I am still afraid to go sleep as it may get worse and happen again. Help me! I love my sleep. Kevin: Hey Hannah, thanks for taking the time to write this and for taking the initiative to understand what has been going on with these episodes. I hope our page about sleep paralysis has helped you shine some light on it. If you haven't learned about hypnagogic hallucinations, I would also search for that term in our search engine (top right of every page) and read a bit of what comes up, because that sounds like what happened to you when you saw the man at the foot of your bed and your sister on her iPod. 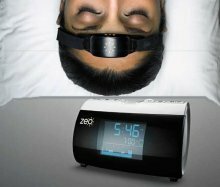 There's also a significant amount of thought people have put into the idea of exercising a bit more control over sleep paralysis episodes, similar in ways to how lucid dreamers exercise control over their dreams. 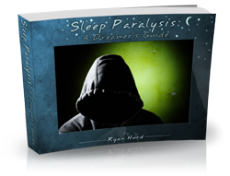 If you're interested in learning about that I recommend checking out Ryan Hurd's book about taking control of your sleep paralysis.